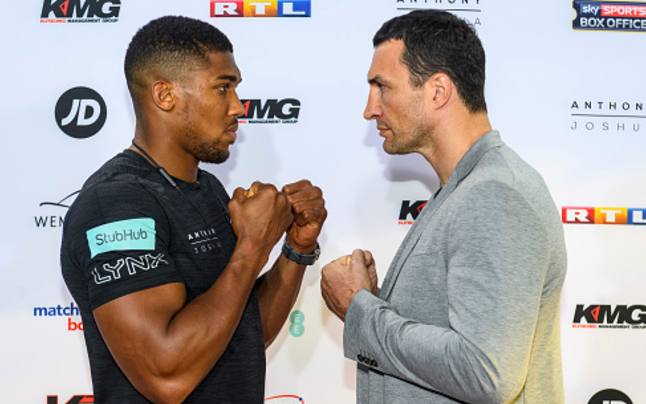 Wladimir Klitschko has arrived in London ahead of his heavyweight title fight with British-Nigerian, Anthony Joshua on Saturday night. The Ukrainian was pictured stepping off a private jet at London’s Biggin Hill Airport on Wednesday afternoon. The two-time champion looked in good spirits as he waved to the cameras before making his way into the terminal. 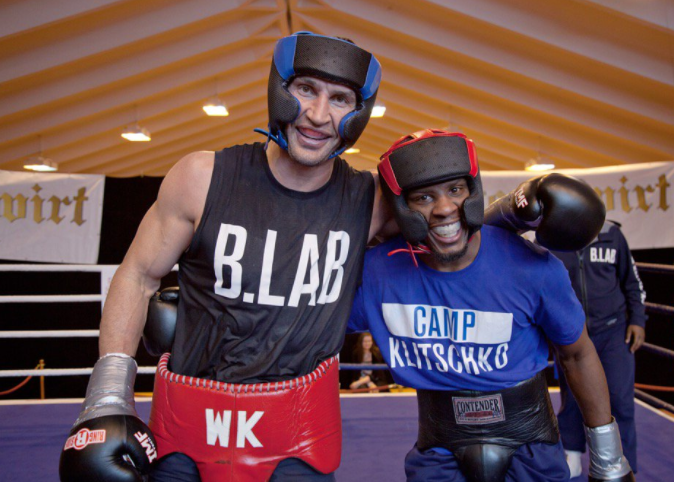 Klitschko is aiming to become a three-time world heavyweight champion in his first return to the ring since losing his crown to Tyson Fury in November 2015. He will step in the ring with undefeated Joshua in front of a British boxing record crowd attendance with the WBA and IBF belts on the line. And in what is another unique twist, it has been announced that the pair will being doing battle for a personalised ‘super champion’ belt. The victor of the most highly-anticipated heavyweight bout in recent times will proudly hold aloft the WBA title bearing the engraved faces of both fighters, as a memento to mark the historic occasion.